North Korea fired a missile over Japan at around 6 a.m. local time on Tuesday before it landed in the Pacific Ocean about 1,180 kilometers off the coast of Hokkaido island. Prime Minister Shinzo Abe has called the strike the “most serious and grave ever threat” to thousands of UNESCO world heritage listed sites. 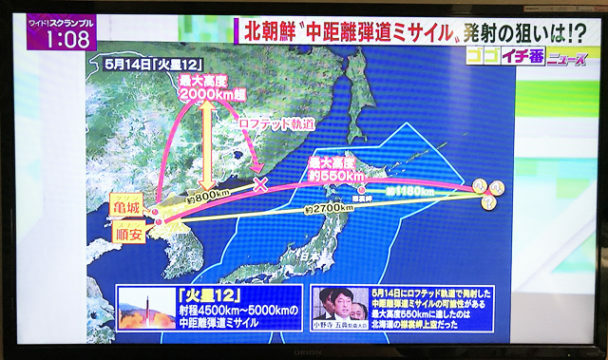 “The flight path also crossed over another potential 1,341 sites still pending UNESCO review,” Abe told reporters. UNESCO was unavailable for comment, which is having “communication difficulties” with Japan since Tokyo applied to register over 100 sites in less than 24 hours.